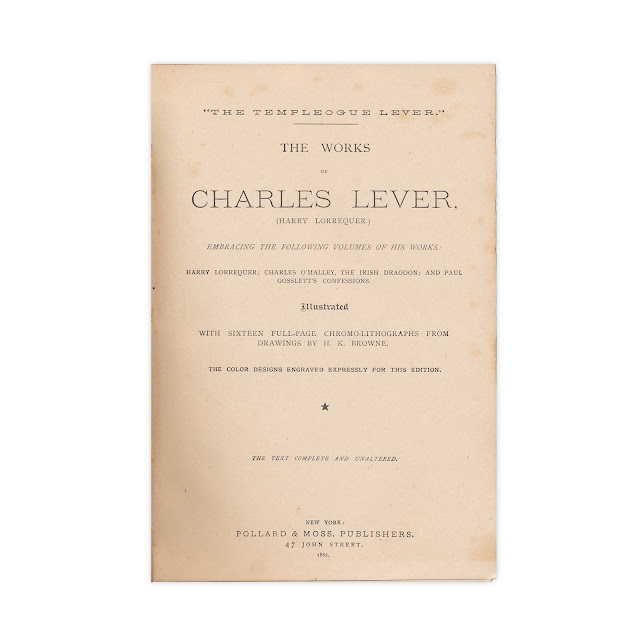 This wonderful color chromo-lithograph H.K Browne illustration comes from "The Templeogue Lever - The Works of Charles Lever" published by Pollard and Moss in 1882. 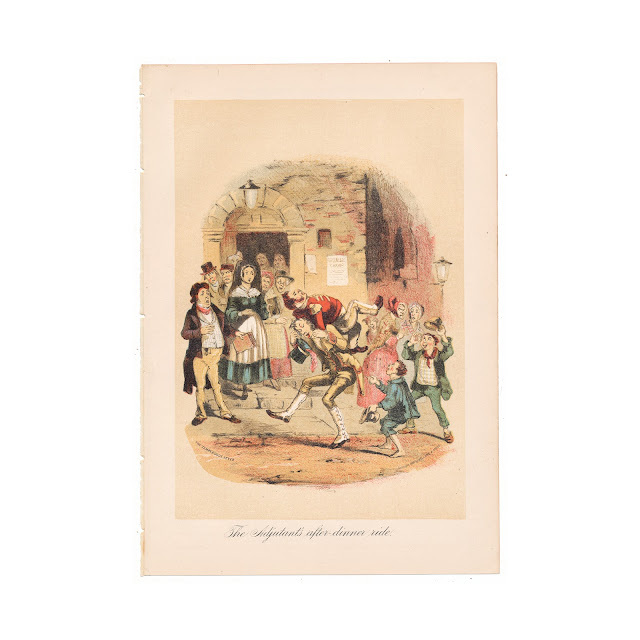 The illustration is titled "The Adjutant's After-Dinner Ride" and measures 7 x 10 inches. 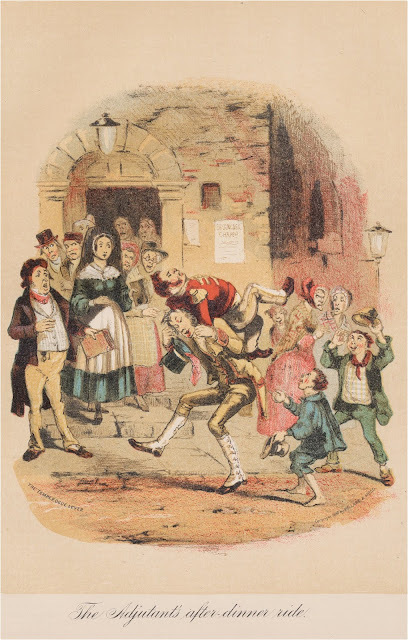 Browne was better known as "Phiz" and his illustrations were found in many classic English works by Charles Dickens, Lever and others.